Are you a rower or a runner? This week has been a succession of lasts – my final Annual Meeting on Sunday, my final Governing Body meeting on Tuesday, my final Luncheon Club on Wednesday, my final church leaders’ breakfast yesterday morning, my final Finance committee last night. And this morning, in about 45 minutes time, my final morning in our church school. Phew. And all this as I approach my final Sunday as vicar of Christ Church, on Sunday 8 April. One of the glories of the Church of England is the regular rhythms which undergird our varied ministries. There is the annual round of festivals and big events. Then at Christ Church we have our monthly along with a weekly pattern for our services and meetings. Even a daily pattern, beginning with prayer in church. All of this has become part of my own personal cadence. No longer will I be sitting on a beach in France and realise that I will have to start thinking about the next Remembrance service in just three months’ time! Or having my breakfast on Tuesdays thinking about that morning’s school assembly. No doubt I shall miss much of all this. But if I am totally honest, not all. At least I don’t think so – for you really know until it happens. It may well be the case that in a few years’ time I will actually look back with nostalgia to what I thought of at the time as not particularly enjoyable. All those years ago I certainly did not enjoy circuit training at Fenners. A necessary evil if I was to get my 800m time down, simply a means to an end. But I now look back somewhat wistfully – even to the challenge of the black circuit, as I recall those students who would be working out with me. 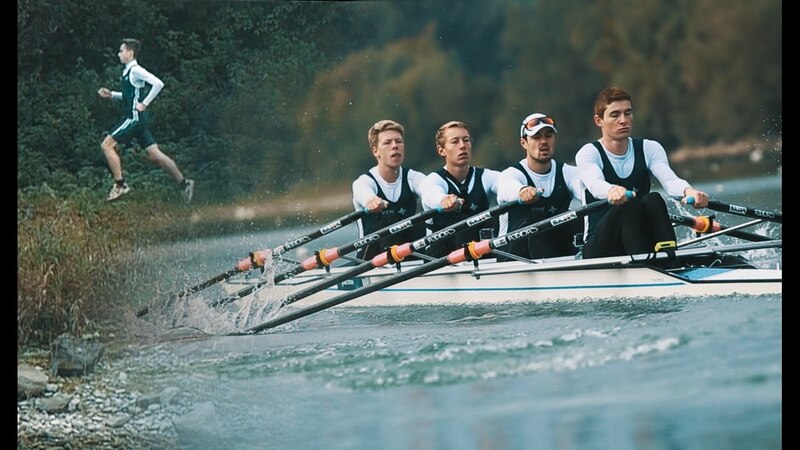 Sometimes I trained alongside the boat race crew. Running and rowing both need a high level of fitness but we differed in one key respect. In running you look forward; in rowing you look back. And that makes all the difference. Certainly I would find it strange not to be able to see where I was going, especially as I strain towards the finish. So are you a runner or a rower? Do you look forwards or backwards? That can make all the difference on how we live in the present. Here we have much learn from Jesus especially as we enter Holy Week. To say the least this was a hugely difficult time for him as he realised that his cross was imminent. He too faced a succession of ‘lasts’, not least his last Passover. The stress must have been colossal. So he meets with his disciples in the upper room. Literally, his last supper with them. As he explains “I have eagerly desired to eat this Passover with you before I suffer.” (Luke 22:15). To say the least, this would have been a hugely moving moment. Within 24 hours all this would have gone to be replaced with disgrace and death. And on drinking the cup, he explains to these fearful friends: “ I tell you that from now on I will not drink of the fruit of the vine until the kingdom of God comes.” (Luke 22:16, 18). Jesus is future-focussed. Today as his disciples we are called to take a similar perspective – to look forward rather than backwards, to run rather than row. We can look forward in confidence because of what God has done in the past, in raising Jesus “through the power of an indestructible life.” (Hebrews 7:16). And in our baptism we incorporate this past event into our own history so that we can share God’s glorious future. This resolve to look forwards rather than backwards is given a simple name in the New Testament: hope. And this hope will not let us down, as the apostle Paul explains, “because God’s love has been poured into our hearts through the Holy Spirit that has been given to us.” (Romans 5:5). Previous PostPrevious Good listening bears fruit.